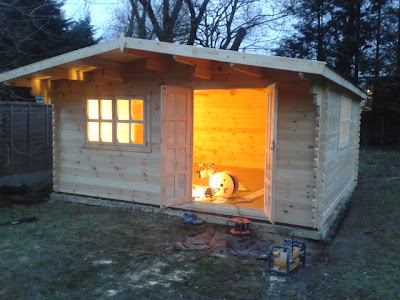 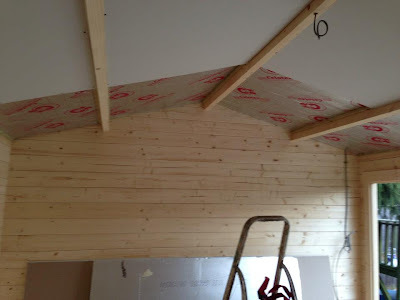 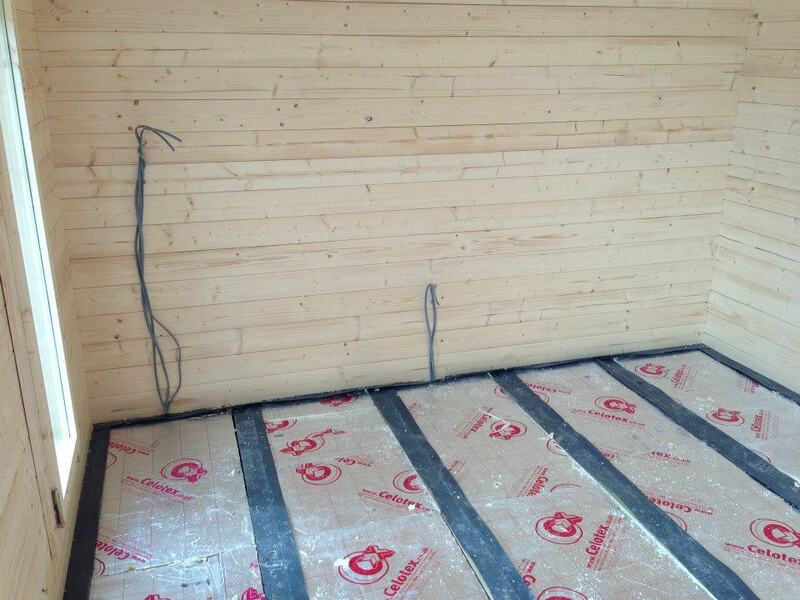 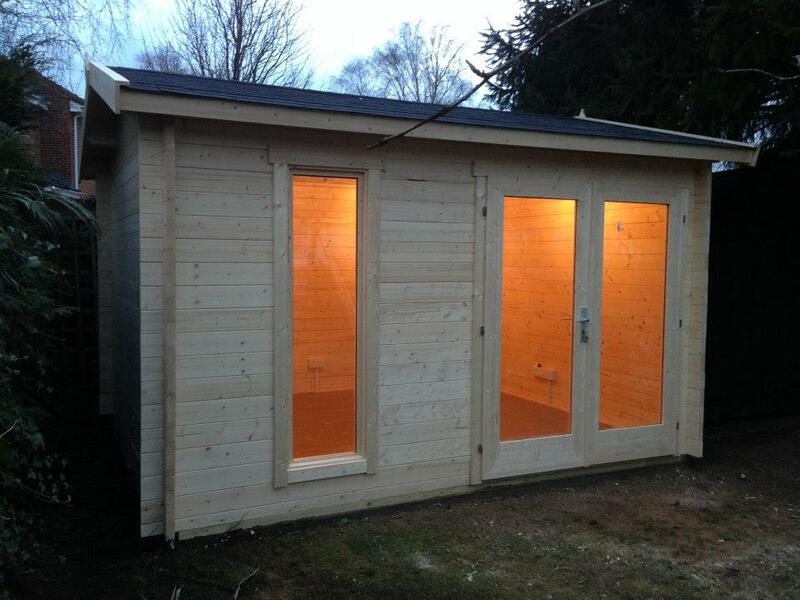 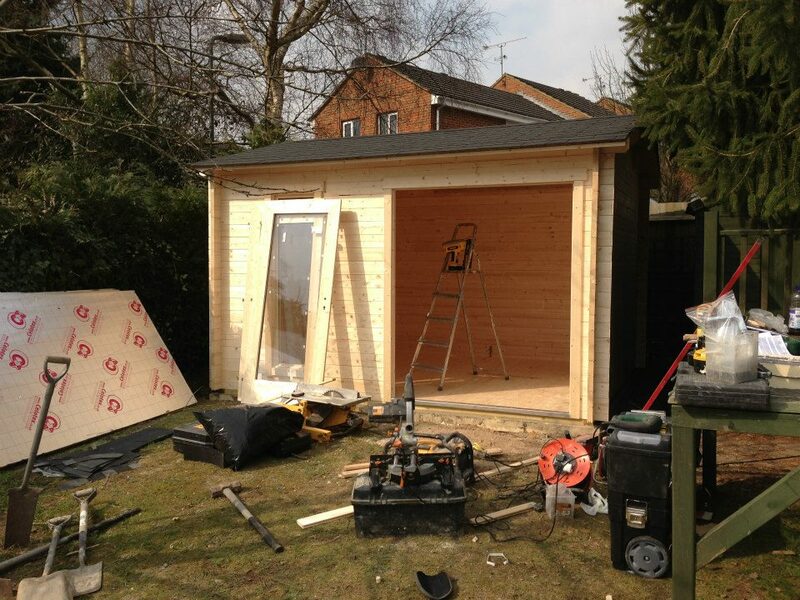 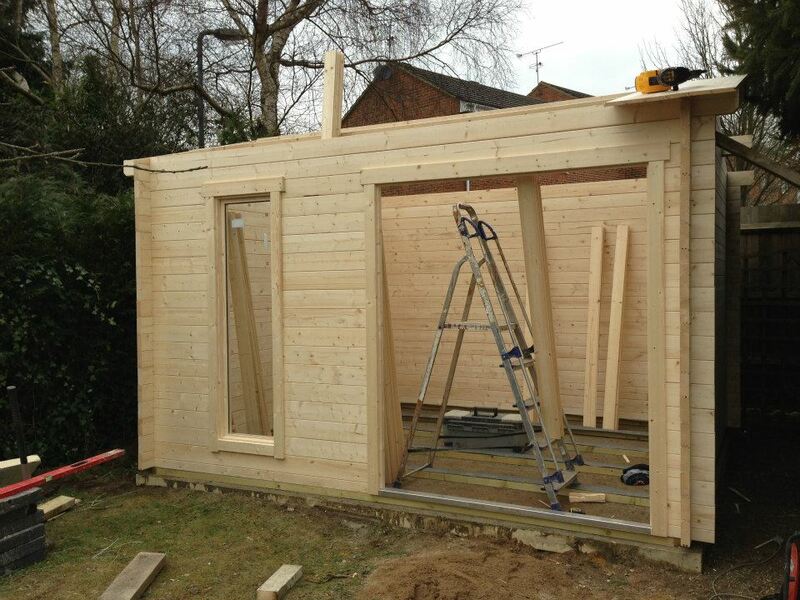 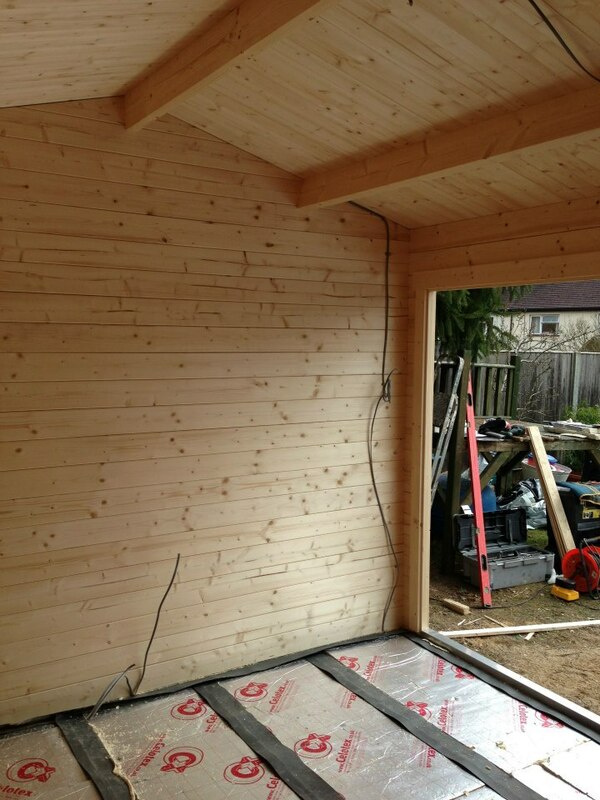 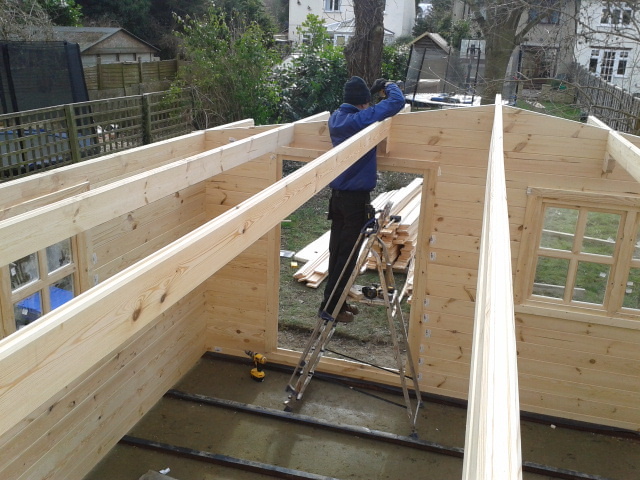 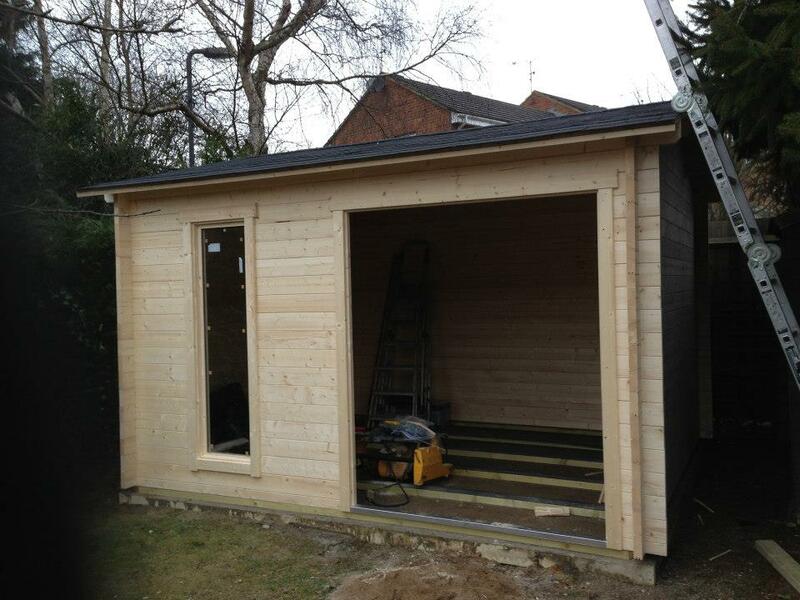 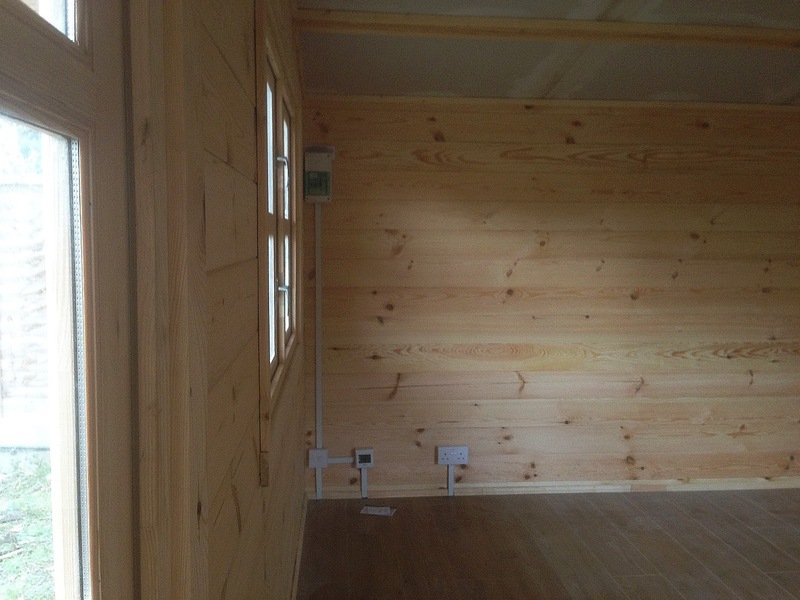 Last week we completed our first Carlisle Cabin of 2013 in Lower Ascot. 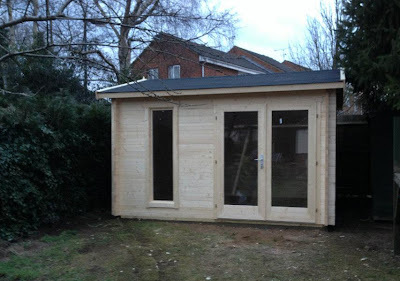 A petite but beautifully formed 3.5m x 3m garden office. The Carlisle is new to our 2.5m high log cabin range. 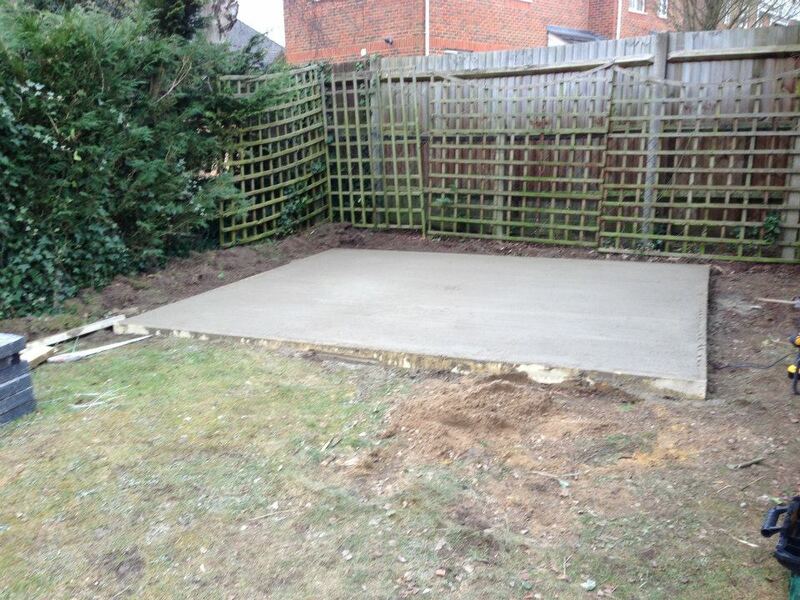 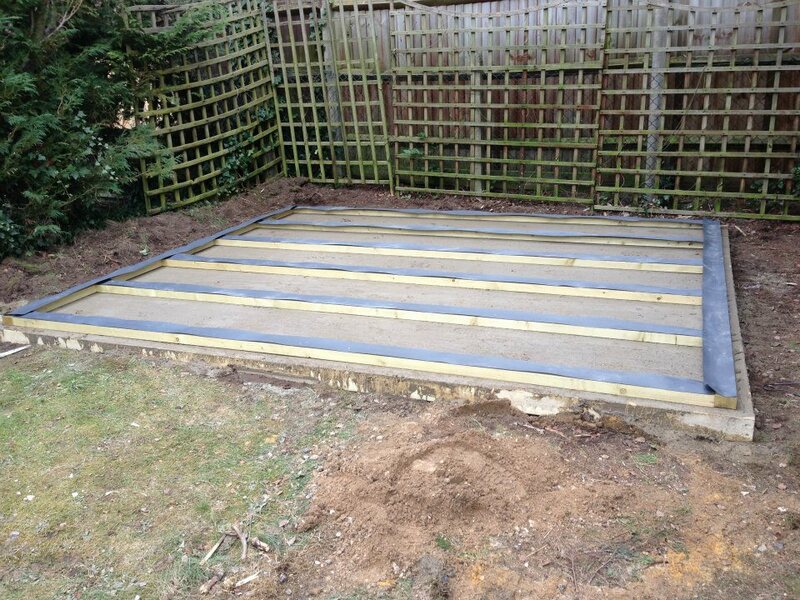 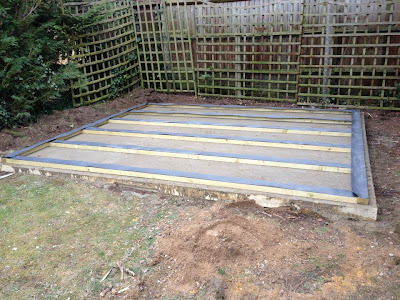 The base is laid out - a little under 3 tons of concrete needed here. 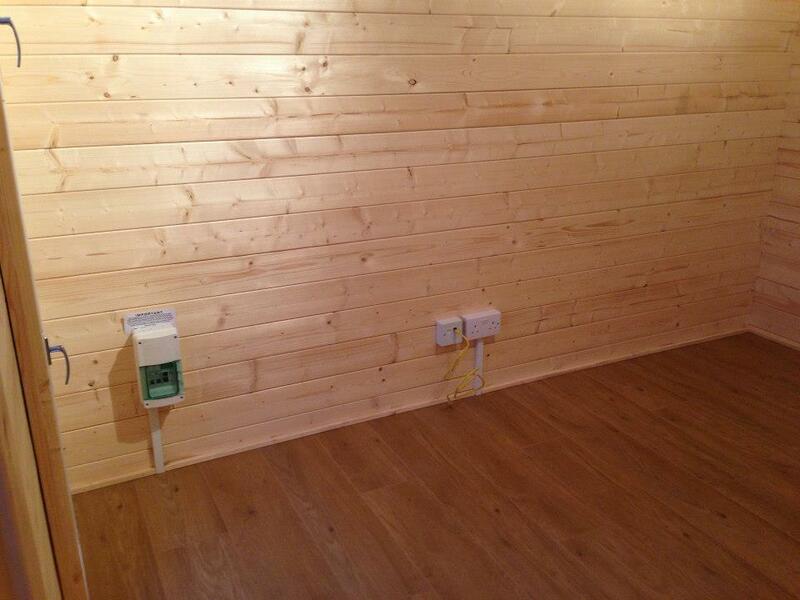 The new consumer unit in place together with electric sockets, lighting and network - hard-wired Cat5e to the main house. 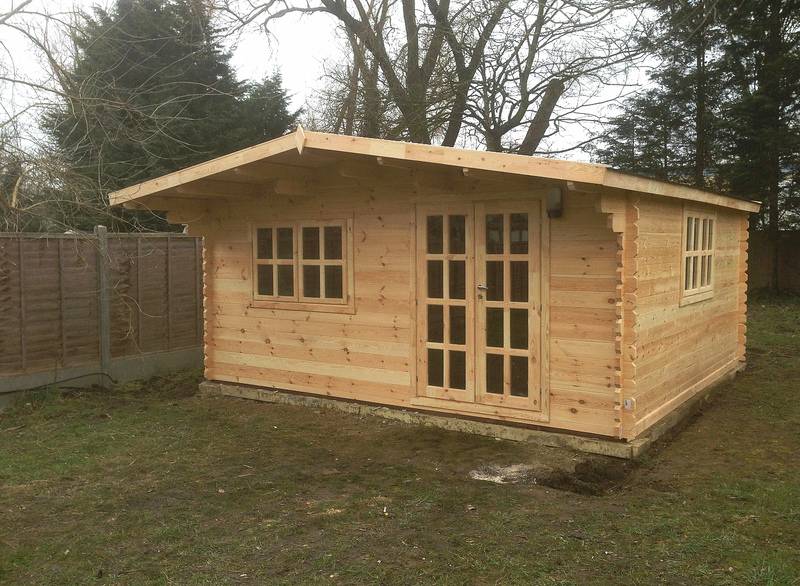 Compact, tidy and ready for use - a haven of peace but a fully functional work space at the end of your garden. A large 5m x 5m lowered Kippen garden room. 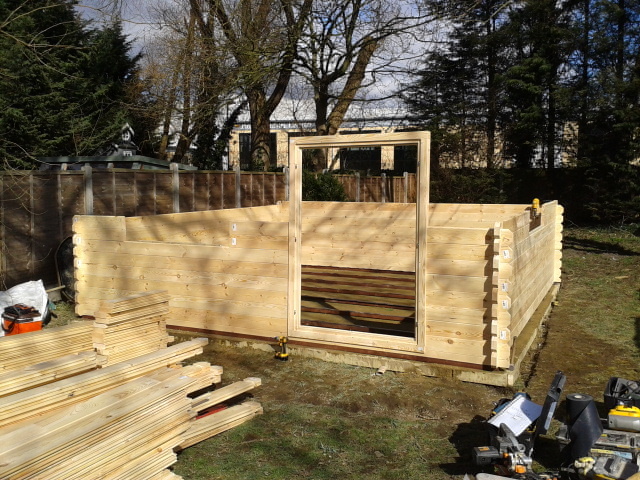 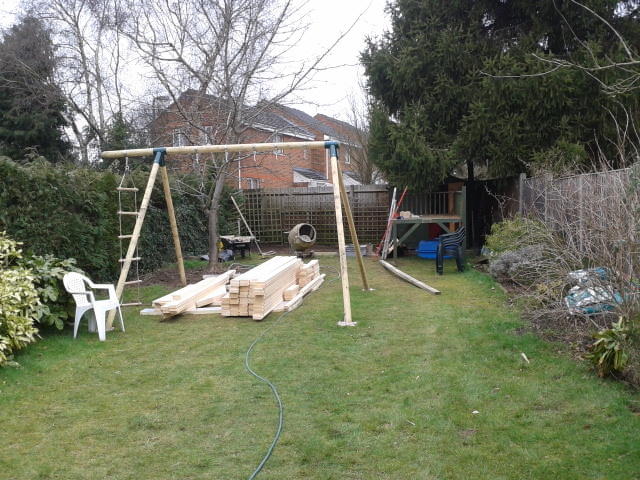 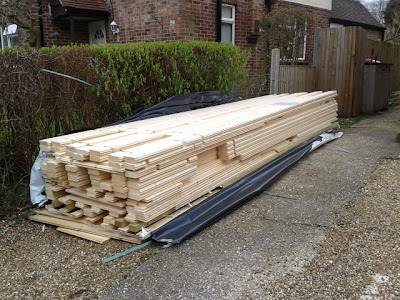 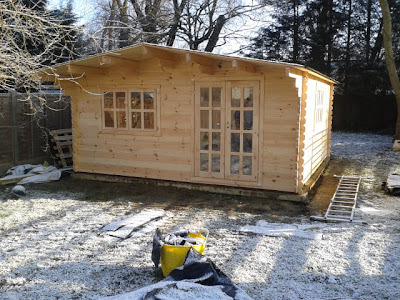 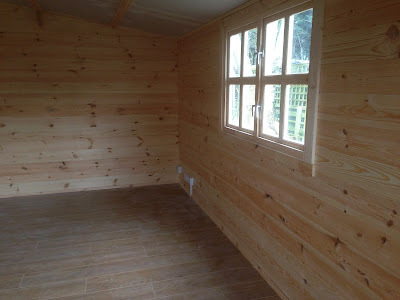 Our customer ordered one of our lowered range of Log Cabins (2.5m) thus enabling a very generous 25m of cabin space (externally) and without the need for planning - again important to give a wide berth to your neighbouring boundary line - minimum of 1m. 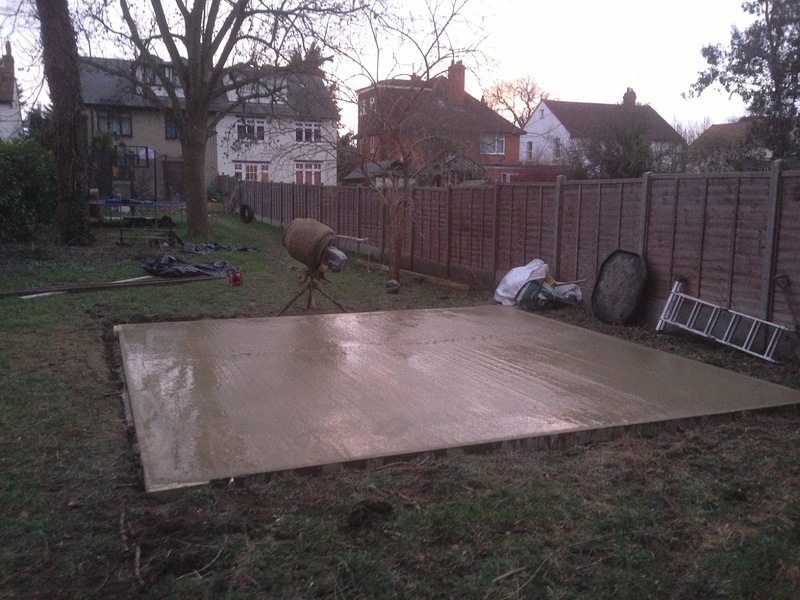 An early start - and a long day spent getting the 25m sq base laid - it takes 6 tons of concrete for this one! Sensibly the customer chose our full options pack - full insulation (roof and floor), electrical sockets and lighting - together with a superb digital underfloor heating kit and topped with laminated flooring. 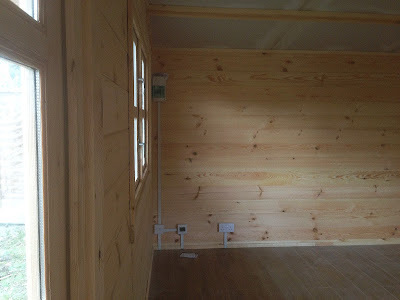 As their growing children will primarily be using this room - then they have full control over the heating as the digital control panel is fully programmable for 7 days per week and the temperature settings are also controlled so its not on 'flat out' all the time either ! 'Double' double sockets here provide plenty of options for the TV and games consoles and of course 'hard wired' Cat5e Internet access from the main house completes the installation. Our customer was so delighted!